ಶಿವಾಂಶ ಸಂಭೂತೆ ದೇವಿ ಪೆರ್ಣೆಪುರ ನಿವಾಸಿನೀ..
Perne Muchilot is one of the holiest and revered shrine of Northern Kerala, fondly frequented to its cultural brilliance and well carved calm and serene complex. Situated in Perne (also called Perdana) near Kumbla, the temple is a coveted destination of thousands of pilgrims from Kerala and Karnataka during festival times. The Beautiful edifice of Perne Kshetra is covered by natural greenery and is well maintained to accommodate thousands of devotees. It is the sacred abode of the all - encompassing divine presence of Shree Muchilot Bhagavathi Devi. Kshetram is sanctified by the presence of sub-deities Kannanagat Bhagavathi, Pullur Kali Bhagavathi, Pullur Kannan Daivam, Vishnu moorthy, Moovalamkuzhi Chamundi, Beernalva, Pandinhar Chamundi. Besides its spiritual significance, Perne is well known for its cultural and social importance. It upholds the idea of simplicity and compassion. Perne Kshetram is run by a systematic administration and has its own glory and greatness. Mass marriage here, with its core idea of simplicity is well known and socially respected. Muchilot Bhagavathi Devi is the Kuladevatha or the chief goddess of Vaniya community. Goddess Muchilot Bhagavathi is also called as Annapurneshwari and the culmination of all scholastic abilities, courage and kindness. She is believed to be sent to earth to annihilate all the evils. Bhagavathi is the source of all prosperity, the reservoir of all knowledge and an immeasurable ocean of benevolence. 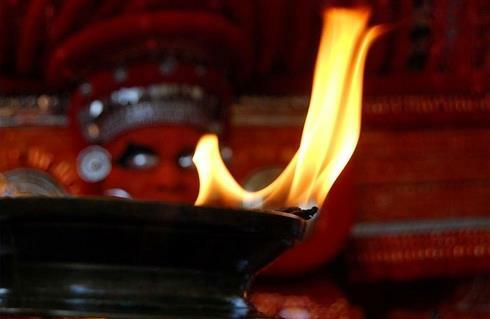 Muchilot Bhagavathi is devoted across one hundred and eight shrines(Kavu's) in Kerala. 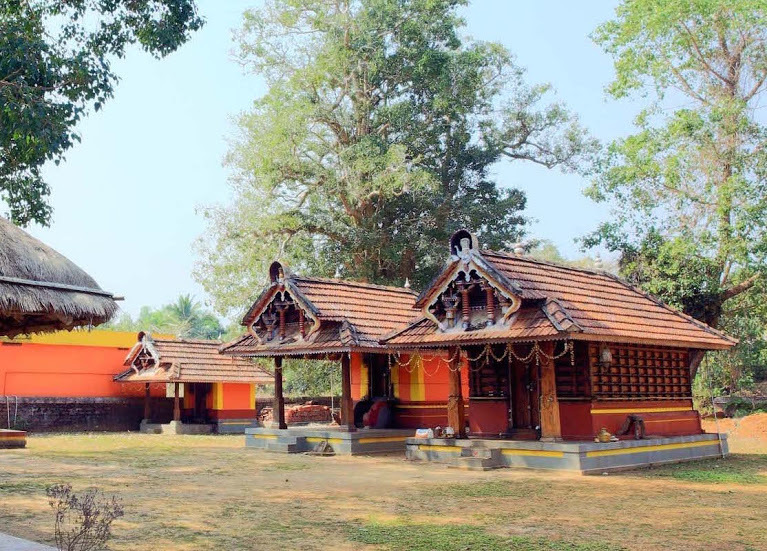 Perne, the auspicious place enshrined with divinity is the northern most Kavu in Kerala. Pooja rituals are carried through prayers using flowers, fruits, rice and appam. The major festivals celebrated at the temple are Chevvavelaku, Udayastamanam, Puthari, Pooram, Kootam and Perumkaliyattam. ©2017 Perne Muchilot Bhagavathi Temple. All rights reserved.